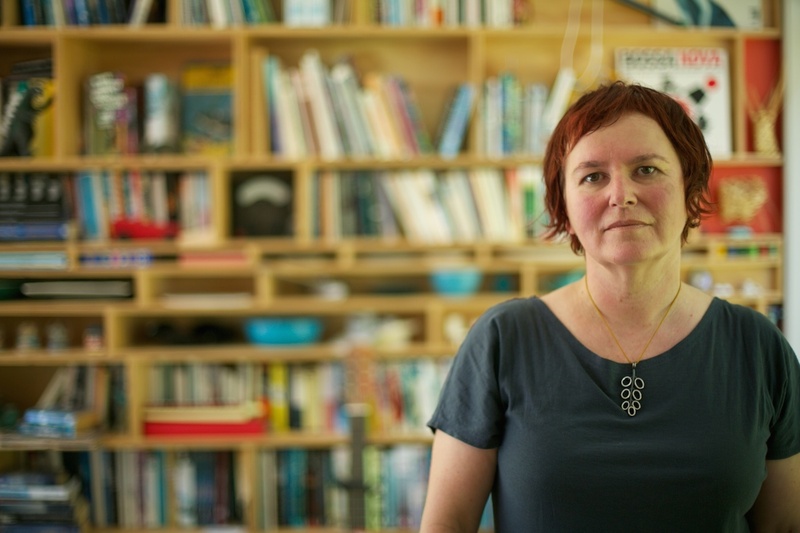 Tracy Farr is a Melbourne-born, Perth-raised, New Zealand-based writer and former research scientist. Her debut novel The Life and Loves of Lena Gaunt (Fremantle Press, 2013), was longlisted for the 2014 Miles Franklin Literary Award, shortlisted for the 2014 WA Premier’s Book Awards and the 2014 Barbara Jefferis Award, and will be published in the UK (Aardvark Bureau) in early 2016. 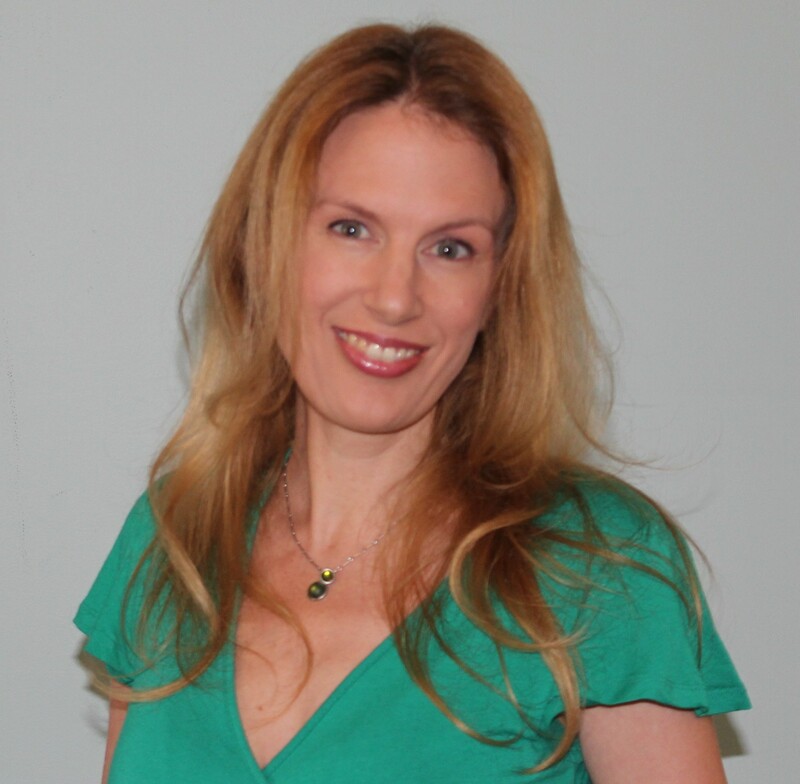 Her short fiction has won awards and been published in anthologies and literary journals. She’s held a number of writing fellowships and residencies, including (July 2015) the inaugural Mildura Writers Festival Residency. Tracy grew up in Perth, and studied Science then Arts at the University of Western Australia. She spent five years in Canada in the early 90s. 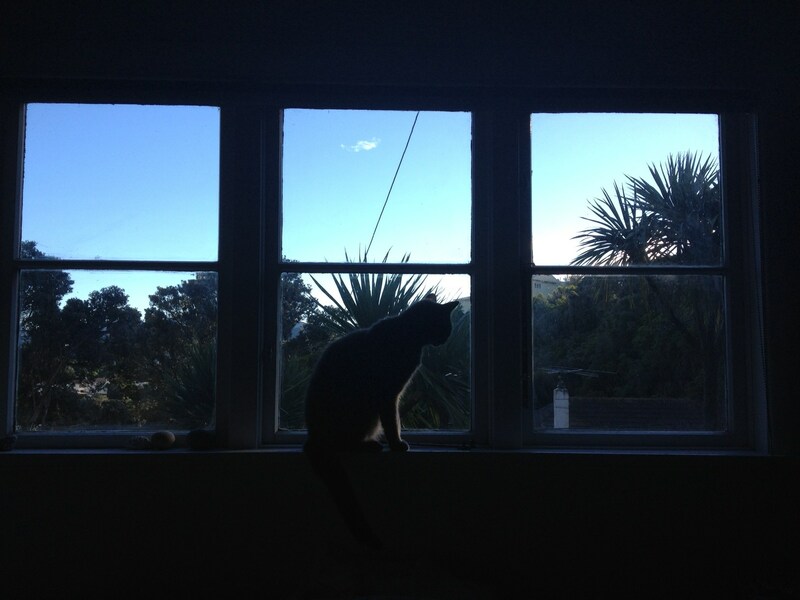 Since 1996 she’s lived in Wellington, New Zealand. She’s currently working on her second novel. I’m effectively a late starter. I always wrote, from childhood onwards – often songs and poems, then journals – and in my late twenties I started trying to craft words into a novel, but it was really dreadful, overwrought, self-conscious. I put that aside – I was living in Vancouver by this time – and started writing painfully autobiographical fragments that I cringe now to recall. Then came another novel (a murder mystery this time), abandoned – eventually – about 40,000 words later; and another, also abandoned. In between the abortive novels, though, and helped by a writing class here and there, some support and encouragement, I worked out how to write short stories. I was in my late thirties by this point, living in New Zealand, mother to a small child, finding it really challenging to manage parenthood and work and life, let alone writing. I just kept banging my head against the writing until it worked. At a certain point, something clicked for me. I remember thinking “Oh, I know how to do this.” It was to do with giving myself permission to make things up. In part, I had to overcome my background as a scientist, my training in observation and sticking to the real, measurable truth. 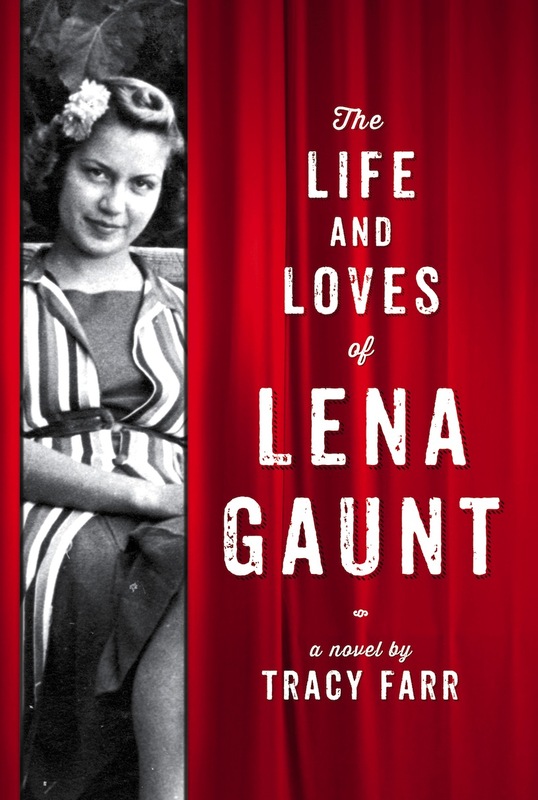 My first novel, The Life and Loves of Lena Gaunt, is about to have a whole new life when it’s published in the UK in early 2016. It’s been described as a fictional memoir. It’s the story of a musician, Lena Gaunt, and the instrument she becomes famous for playing: the theremin, the first electronic musical instrument, played without touching. The novel opens in Perth in 1991, when 80-year-old Lena Gaunt has been lured out of retirement to play at an electronic music festival. A filmmaker sees her play at the festival, and she approaches Lena with a pitch: to make a documentary film about Lena’s music and life. That strand of the book, its 1991 here-and-now, is about the musician and the filmmaker navigating and negotiating the making of the film – will they make it, and how? Is Lena ready to tell her story? – and building a relationship through that process. The other strand of the book is Lena Gaunt telling her own story, starting from her childhood, and wandering all over the world, but always coming back to Cottesloe Beach, in Perth. Those two strands – the 1991 filmmaking story; the great long arc of Lena’s life story – are interwoven through the novel. I mostly write in my study/office at home. It’s a small room, and there’s too much in it: the sofabed, for visitors; shelving for books and STUFF (I’m a terrible hoarder); two desks, both of them covered in yet more STUFF; boxes to go to the good sammies; sewing and knitting projects, writing projects. There are piles of STUFF on the floor and on the sofa, and on pretty much every surface. I do have a functional writing desk, bought early this year – it’s a long skinny standing-height desk that sticks out into the middle of the room like an island. I slot myself in behind the desk, with my “spare” desk behind me, so that I’m sort of trapped in place to write. It seems to work! There are whiteboards on two walls, on which I try to organise my writing life. There’s a long window along one wall that looks out past phone and power wires onto suburban treetops, and across the roofs of our neighbours to distant hills and lots of sky – sort of abstract slices where human-modified suburbia meets nature, with fragments of things that don’t quite make sense together, and no (close) ground to make sense of the view. That’s the kind of writing view I like. When I need a change of place, I head out to the backyard, to a paved courtyard under a massive old climbing rose on a pergola. I spent most of this summer out there writing and reading at the table my husband made from an old door salvaged from one of the several woodpiles in odd places around our big, wild suburban block. I used to be a classic binge writer, and that’s probably my natural pattern – working hard-out when I have a day here or there around my day job, then taking sabbaticals of a week or two or more, once in a while, to get completely away from people and go into a kind of weird and lonely writer state. But this year, for the first time in my life, I’ve had the luxury of six months writing full-time, thanks to Creative New Zealand funding via an Arts Grant, so I’ve had to find a way of making good use of what feels like an extravagance of time. I’ve settled on working weekdays from the time that I get the house to myself – about 9am – until early afternoon on my current writing project. Afternoons, if I don’t keep writing or reading for my current project, are spent getting the other business of writing done: emails, applications, interviews, social media, website, blog, bits of paid work – basically pitching and promoting and whatever I need to do to support my writing habit. Chaotic, with flashes of attempted organisation – rather like my desks. I usually start fiction projects writing longhand in notebooks. I know from experience that I work best when I set rules for myself – “fill this notebook to page 50 before you transcribe to the computer” – that force me to write new words rather than tinker with what I’ve already written. I switch from notebook to computer at different stages of the writing. Sometimes I love the speed and disconnection of writing on the computer; other times I need to feel the pen in my hand. At different stages of a project I resort to mapping out connections and ideas on big sheets of paper. I’ve tried various software versions (Scapple is the best I’ve used), but for me it comes down to a big sheet of paper and the scratch of a pencil. Those maps of my writing are a really important tool for me, and they take all sorts of different forms – graphs of relative points of view; scene synopses on scraps of paper that I shuffle to test different scenarios; random thoughts and sketches. For the novel I’m currently working on, I’m using Scrivener software, and I wish I’d used it for my first novel – so much of what I did laboriously in word processing software (shuffling scenes and viewpoints) would’ve been so much simpler in Scrivener. It’s ridiculously powerful, and – as a bit of a tech geek – I love that about it. I can’t imagine ever going back to straight word processing software as my primary writing, editing and creative medium. The writing process for me is all about finding connections, and putting words together to solve a puzzle – but it’s like doing a jigsaw without having the picture on the lid of the box, even though the puzzle is of my own making. Frustrating, but enormously rewarding when you make it to the end (particularly if you’ve managed to use all the pieces of puzzle, and don’t have too many left over). I honestly don’t know. I just feel the need and desire and compulsion to write. I can’t imagine, now, not doing this thing called writing. Like most writers, I love reading, so writers and books inspire me, but ideas come from everywhere. Sometimes I’ll write down a phrase, a line from a song, or cut out a newspaper article, or keep a postcard of an artwork, or a photo or piece of music or film poster, and it might be years and years before I find a place for it in my writing. I love the process of discovering connections (or making them) between things that don’t at first seem connected. For most of my writing life, my biggest challenge has been finding/making time and space and solitude to write – really, that boils down to money. At the moment, I’m in the midst of this big clear space of writing time, but I’ve had to struggle and work to make that happen, and that struggle will continue once this current funding runs out. So, the usual: money, time. I wish I’d known that I’d get there in the end – but that it’d take time – so I wasn’t so impatient and cranky and hard on myself along the way. And I wish I’d known that Pilates would save me years of low-level pain, and mountains of money spent on physiotherapy and Panadol. Personally, I just try to put words together in ways I find beautiful. I guess in my head and ear I can hear the way that the words are meant to be, so I’m always writing towards achieving that, capturing it. It’s as if the writing already exists in the world (in some dark recess of my brain), and my job is to retrieve it, or realise it. Industry-wise, as an Australian writer who lives and writes in New Zealand, I’d love to see more recognition of each country’s literature and writers in the other country. I think it’s slowly changing for the better. At the same time, I feel really lucky to have access to and knowledge of the literature of these two countries and I acknowledge and celebrate their differences and strengths – I’d hate to see them lumped as one shared Australasian literature (not that that’s likely). Helen Garner, Joan London, Kirsty Gunn, Carol Shields, Jeanette Winterson, Alice Munro, A.S. Byatt; Virginia Woolf, Katherine Mansfield. I’m obsessed with a book called Swimming Home by Deborah Levy, which may mean that Deborah Levy belongs on this list of favourites. And some of my newest favourites include Anna Smaill, Ellen van Neerven, Yvette Walker. You’ve featured a few of them already – Yvette Walker, Inga Simpson, Annabel Smith, Deb Fitzpatrick, Amanda Curtin, and Jessie Cole. How about Jane Rawson, Ellen van Neerven and – with her debut novel out in September this year – Jenny Ackland? And some New Zealand writers: Sarah Laing, Emily Perkins, Anna Smaill, Janis Freegard, Elizabeth Knox, Tina Makareti. Like this interview? Follow WordMothers or Subscribe to meet more great female authors! Lovely interview, Nicole and Tracy! I love it when I read about writers whose process is similar to mine—the binge-writing and the need for pen on paper to get started. I also couldn’t write without Scrivener and can’t stop singing its praises, and I can see I need to get a whiteboard and a second desk to ‘lock’ myself in! Hi Louise, I like writing longhand first, too. I think that comes from being a poet – I couldn’t imagine typing a first draft. There’s just something about moving the hand across the paper (and I like to get away from screens whenever I can). I also think there’s a lot of truth in what Tracy says about writing helping you resist the temptation to revise (“tinker”) too soon. I actually have an entire TBR shelf now. It’s nice, though, as there’s something there for whatever mood I’m in and I never have to go searching for a book I’d like to read. You know when you read something and you can feel the corner of your mouth move because you are smiling inside and nodding your head? That was me when I read this interview! 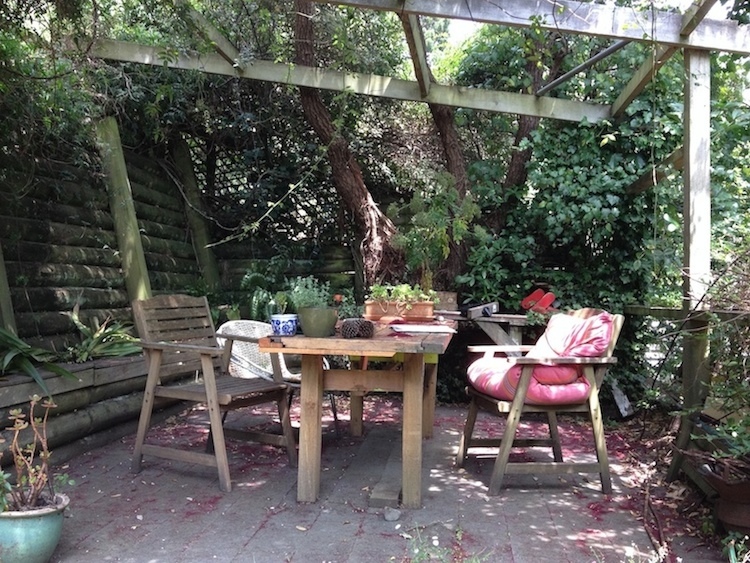 Find it so incredible that the feelings about writing are often so universal…, the pen in hand on page, the rules of filling journals …etc but I also love your alternative work space. ! Good luck with your new publication Tracy …and Nicole, keep blogging about women writers…love them! PS And thanks for popping onto my my latest piece too.